When you think of Morocco, your mind might become awash with images of shrouded bazaars, the air scented by exotic spices and the sounds of intense debate, or of a pungi charming snakes in the distance. It’s what you’d expect of a holiday in the likes of Fez or Marrakech. But a holiday in Morocco need not just be a city break. Morocco is a land of mystique and adventure, home to the highest mountains in North Africa, part of the Sahara desert and an expansive coastline, just beckoning you to explore it. It’s a little known fact that Morocco is an excellent destination for an activity holiday. Whether you wish to lose yourself in country trails or desert expanses, be like the locals and immerse yourself in a hamam, or take up a new skill like surfing or Moroccan cookery, there is something for you in the “Arab West”. Hamams are an integral part of Moroccan culture, used by locals as a place to both relax and socialise in towns and cities across the country. 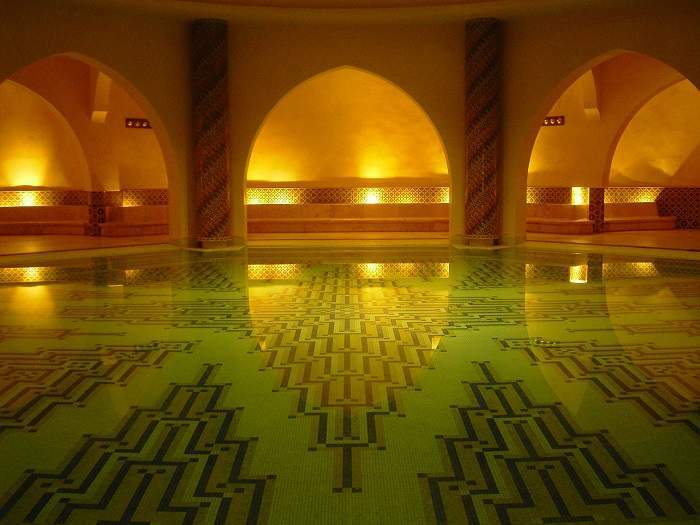 This is one of the best ways to get a truly authentic Moroccan experience, all the while enjoying the benefits of this take on a spa day. Part steam, part fully body scrub and part massage, you’ll journey through a series of rooms to partake in each part of the process. Many hotels and private hamans offer private rooms in luxurious surrounds, but for the truly authentic experience, head to a public hamam. Often housed in historic buildings, these male and female only establishments are the best place to take part in the nationwide ritual. A trip to Morocco could easily be spent meandering from meal to meal, perhaps starting the day with delectable beghrir (crumpet pancakes drizzled in honey) for breakfast, sampling sumptuous street eats for lunch before tucking into tagines at dinner, followed by crumbling sweet pastry desserts. But why only enjoy Moroccan cuisine in Morocco? 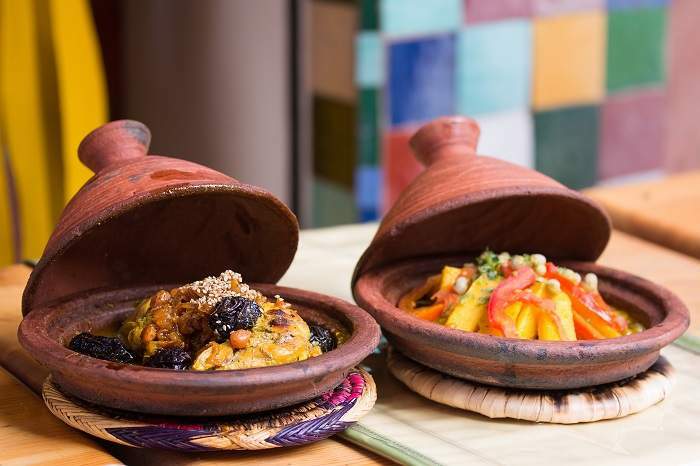 A Moroccan cookery class will allow you to see the complexity of the flavours that go into those aromatic dishes. Marrakech in particular has an array of schools, take a look at Faim d’Epices and Souk Cuisine, for example. Many will even take you to the markets to pick out the ingredients and you’ll then learn the techniques and spice combinations that make Moroccan cuisine so renowned. Having such a bohemian vibe, it’s no wonder that Taghazout has become Morocco’s premier surfing spot. This chilled-out town, just north of Agadir, has become a top spot for yoga trips, relaxed seaside breaks and intense surfing excursions. 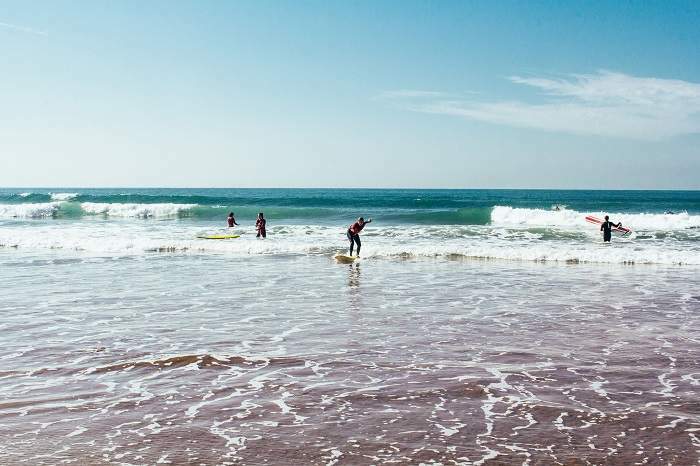 Companies such as Surf Maroc offer surf camps, lessons and equipment hire, making them a good choice for any level of ability. Between riding the waves, there isn’t much to do here but chill in beachfront cafes and relax. And that’s the charm. 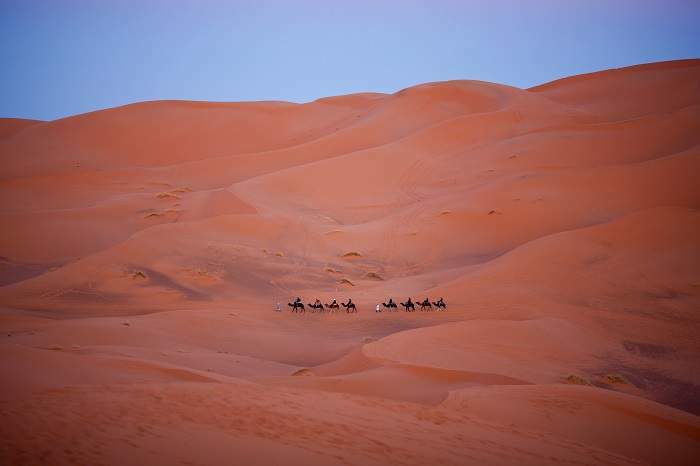 Make like Laurence of Arabia, and go on an exciting (if ever so slightly clichéd) camel ride in the Sahara. Morocco is lucky to have some of the Sahara’s most accessible areas (in its entirety, the desert covers almost a quarter of the African continent). There is something ethereal about crossing the golden sandy dunes on top of a camel, as merchants and travellers have done from generations past. On your journey, you may come across tiny desert villages such as Merzouga or Hasi Labied, or you can just take in the great sandy expanse. With summits of over 4,000 metres, the Atlas Mountain range is home to some of Morocco’s most cut-off villages. Many of these places are unreachable by car and week-long treks are the norm for visiting this vast and complex area of Morocco. 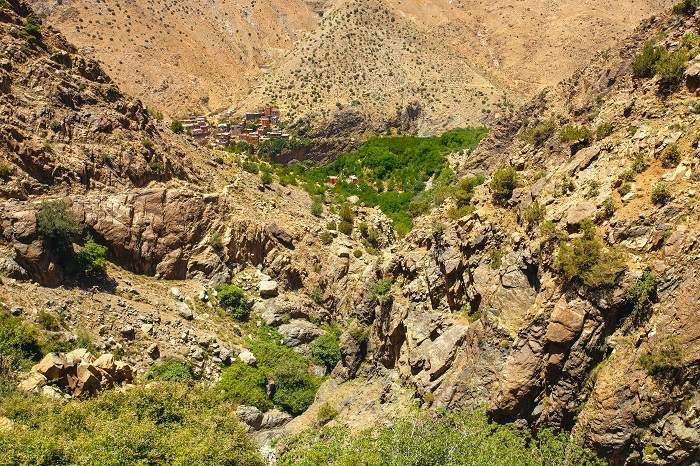 Day-long hikes are also possible, such as the Tizin’Test route from Marrakech to the market city of Taroudant. This will see you pass epic mountain scenery and quaint Berber villages that are often built into the mountains, offering a snapshot of rural mountain life.